Communist Party of India (CPI) on 27 October criticised Yogi Adityanath-led government in Uttar Pradesh for the shameless incident of a Swiss couple being assaulted in Fatehpur Sikri, Agra. 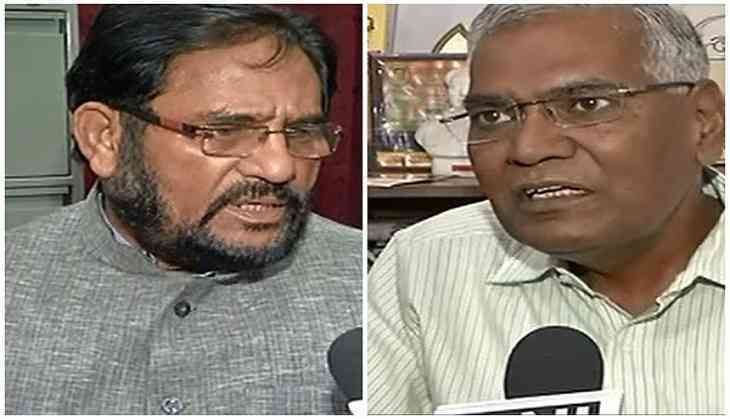 While speaking to ANI, CPI leader Atul Anjan questioned Prime Minister Narendra Modi and the Uttar Pradesh Chief Minister for such carelessness of the state police. He said, "Both Prime Minister Modi and Uttar Pradesh Chief Minister Adityanath claim that the law and order of the state is the best. Where were Yogiji's government and police when the young Swiss couple was attacked?" Talking almost in the same tone, CPI leader D Raja said that the government is answerable to whatever happened in Fatehpur Sikri. "The state government should be questioned and it is answerable to what happened to the Swiss couple," he told ANI. A couple, hailing from Lausanne in Switzerland, was allegedly thrashed by a group of youths in Agra's Fatehpur Sikri on Sunday. The duo was reportedly seriously injured in the attack and is currently admitted in a hospital in Delhi. Uttar Pradesh Home Secretary, Bhagwan Swarup late Thursday night said all the five involved in assault of a Swiss couple in Fatehpur Sikri have been arrested. The police had earlier in the day arrested three accused, all minors, in connection with the case. In the meantime, External Affairs Minister Sushma Swaraj also sought a report from the Uttar Pradesh Government over the incident.